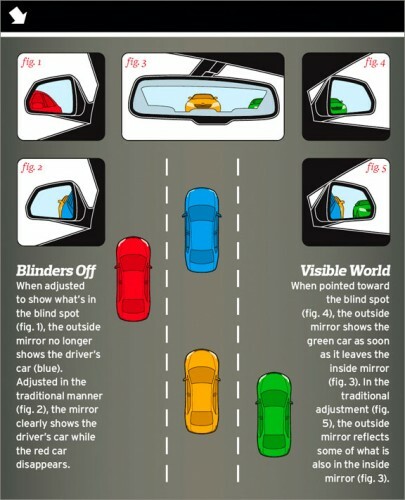 I came across this interesting article on how to properly position your car’s side mirrors to eliminate blind spots. However, it does not feel natural at all since you no longer see your car in your own mirror. Additionally, some comments suggest that it is not applicable in places with lots of motorcycle traffic since you cannot see them as they move between lanes. Interesting idea though. I wonder what local car enthusiasts think about this.